Try our natural topaz mineral specimens and topaz crystals Satisfaction Guarantee - compare our topaz prices and our superior quality. 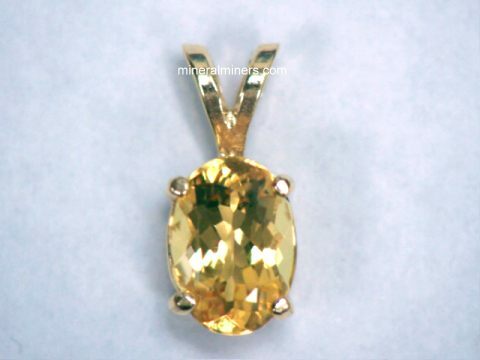 Click on any natural topaz crystal specimen image below to enlarge it. Topaz Specimen Dimensions: 0.6" long x 0.4" x 0.4"
This small specimen of semi-transparent to transparent natural topaz has very pale blue natural color (almost colorless). It has not been heated or treated in any way. It is a partially terminated topaz crystal with some broken areas and some naturally etched surfaces. Topaz Mineral Specimen Size: 1.3" long x 0.8" x 0.6"
This specimen of semi-transparent to transparent natural topaz is colorless. It has not been heated or treated in any way. This naturally terminated topaz crystal specimen has very good transparency with some broken surfaces. This topaz crystal is colorless, and it has not been heated or treated in any way. Topaz Mineral Specimen Size: 1.2" long x 1" x 0.7"
This specimen of transparent natural topaz has pale blue natural color. It has not been heated or treated in any way. It is a partially terminated topaz crystal with some broken areas and some naturally etched surfaces. Topaz Mineral Specimen Size: 1.5" long x 0.8" x 0.7"
This specimen of semi-transparent natural topaz has strong blue natural color. It has not been heated or treated in any way. This natural topaz specimen has some broken areas and some naturally etched surfaces. Topaz Specimen Dimensions: 1.6" long x 1.1" x 0.7"
Blue Topaz Specimen Dimensions: 2.1" long x 1.1" x 1"
This specimen of semi-transparent natural topaz has pale blue natural color. It has not been heated or treated in any way. It is a partially terminated topaz crystal with some broken areas and some naturally etched surfaces. Topaz Mineral Specimen Size: 1.7" long x 1.3" x 0.9"
This specimen of transparent natural topaz has very pale blue natural color (almost colorless). It has not been heated or treated in any way. 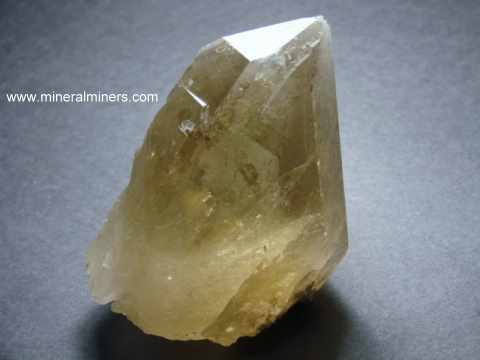 It is a naturally etched and terminated topaz crystal specimen. 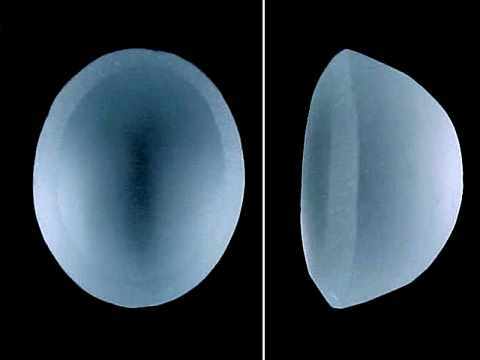 The photo at left is a close-up, see also a full view of this naturally etched topaz crystal. Topaz Specimen Dimensions: 1.8" long x 0.9" x 0.7"
This specimen of natural topaz is transparent with facet grade areas inside and light blue natural color. It has not been heated or treated in any way. Some surfaces are terminated, some are broken and some are naturally etched. See also an opposite side view of this naturally etched blue topaz mineral specimen. Topaz Rough Dimensions: 1.5" x 1.2" x 0.6"
This natural color topaz rough specimen has pale natural blue color. 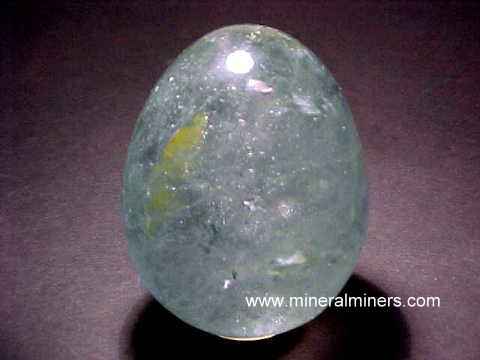 It is transparent with gem grade areas inside that would yield 8-10 carats of eye clean gems. It could be wire-wrapped and made in to a nice looking piece of jewelry just as it is. Topaz Mineral Specimen Size: 1.7" long x 1.2" x 1.1"
This specimen of semi-transparent natural topaz has medium blue natural color. It has not been heated or treated in any way. This natural topaz specimen has some broken areas and most surfaces are covered with natural etchings. See another image showing some etchings on this naturally etched blue topaz mineral specimen. Topaz Mineral Specimen Size: 2" long x 0.9" x 0.8"
This specimen of transparent natural topaz has light blue natural color. It has not been heated or treated in any way. It is a partially terminated topaz crystal with some broken areas and some naturally etched surfaces. Topaz Crystal Dimensions: 1.4" tall x 1" x 0.7"
This naturally terminated topaz crystal specimen has very fine transparency with naturally rounded and etched terminations and prismatic faces all in very fine condition. This topaz crystal is colorless, and it has not been heated or treated in any way. 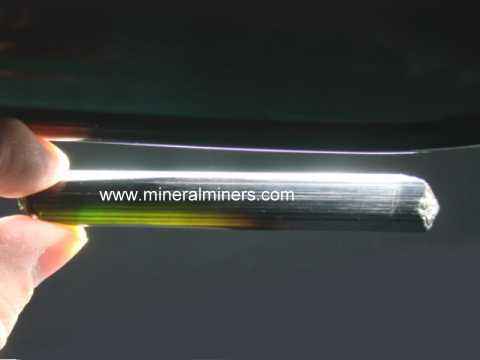 See also a full view of this naturally etched Medina topaz crystal. Topaz Mineral Specimen Size: 2" long x 1.4" x 0.9"
This specimen of natural topaz is semi-transparent to transparent with medium blue natural color. It has not been heated or treated in any way. See an opposite side view of this natural color blue topaz mineral specimen. Topaz Mineral Specimen Size: 2.6" long x 1.5" x 0.9"
This specimen of transparent natural topaz has very pale blue natural color (almost colorless). It has not been heated or treated in any way. 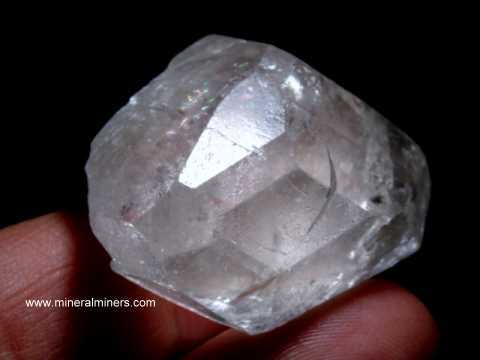 It is a naturally etched topaz crystal specimen. Topaz Crystal Dimensions: 1.25" tall x 1.6" wide x 1"
This naturally terminated topaz crystal specimen has fine transparency with naturally rounded and etched terminations in fine condition. The prismatic faces also are naturally etched and in very good overall condition. 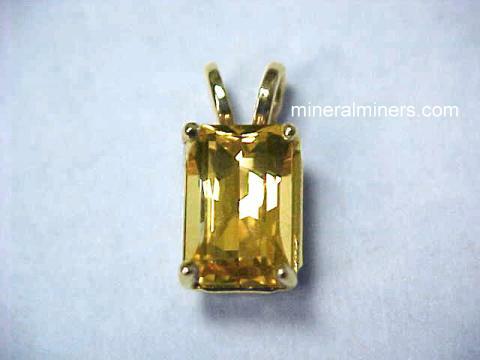 See a full view of this natural Medina topaz specimen. 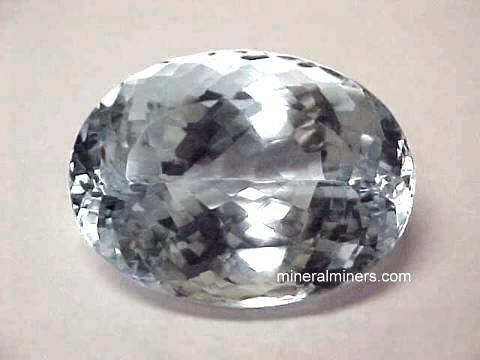 This topaz crystal is colorless, and it has not been heated or treated in any way. See also another full view of this naturally etched Medina topaz crystal. See one more full view of this fine quality topaz mineral specimen. Topaz Mineral Specimen Size: 2" long x 1.6" x 0.85"
This specimen of transparent natural topaz has light blue natural color zones with gem grade areas inside. It has not been heated or treated in any way. 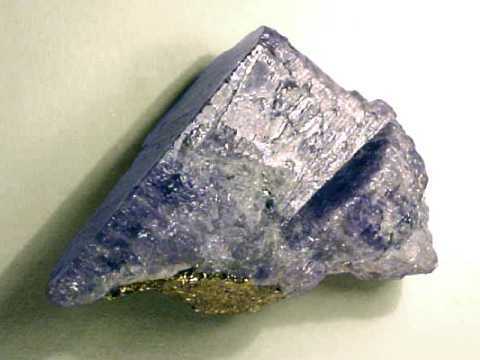 It is a partially terminated topaz crystal with some broken areas. Topaz Crystal Dimensions: 1.9" long x 1.6" x 1.5"
This specimen of natural topaz is semi-transparent to transparent with pale blue natural color and natural terminations. This topaz crystal has some naturally etched surfaces and some abraded areas. It has not been heated or treated in any way. Topaz Mineral Specimen Size: 1.9" long x 1.4" x 1.4"
This rare quality specimen of natural topaz is transparent with strong blue natural color. It has not been heated or treated in any way. Most of its surfaces are covered with brilliant natural etchings. Topaz Crystal Dimensions: 1.9" long x 1.8" x 1.8"
This specimen of natural topaz is transparent with very pale blue natural color and natural terminations. It has not been heated or treated in any way. See another view of this natural topaz specimen. 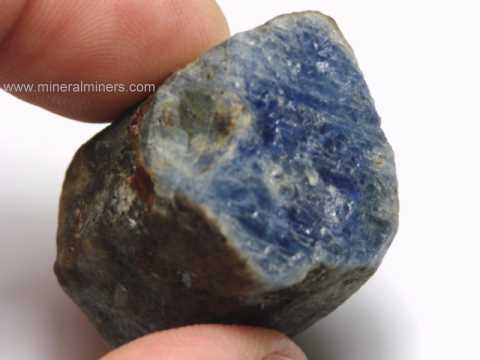 This topaz crystal has some abraded areas and some large facet grade areas inside. See also another view of this natural color topaz specimen. Topaz Specimen Dimensions: 2.6" long x 2" x 1.8"
This specimen of transparent natural topaz has very pale blue natural color (almost colorless). It has not been heated or treated in any way. This topaz crystal is covered with naturally etched surfaces. 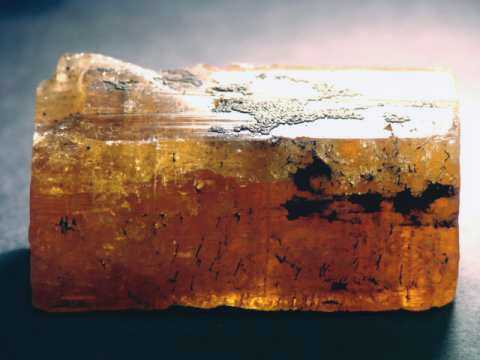 The photo at left is a close-up, see a full view of this naturally etched topaz crystal. See also a another close-up view of this natural etched topaz specimen. Topaz Crystal Dimensions: 2.0" tall x 1.5" wide x 1.2"
This naturally terminated topaz crystal specimen has fine transparency with naturally rounded and etched terminations in fine condition. 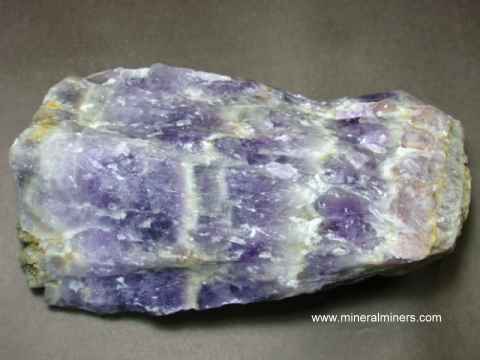 The prismatic faces also are naturally etched and in very good overall condition. This topaz crystal is colorless, and it has not been heated or treated in any way. 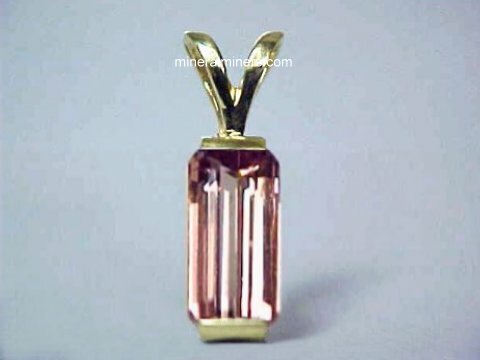 See a full view of this fine quality Medina topaz crystal. Topaz in Matrix Size: 4.5" wide x 2.8" tall x 2.1"
This topaz in matrix mineral specimen weighs 1.1 pounds, and it is completely natural with no treatments or repairs. 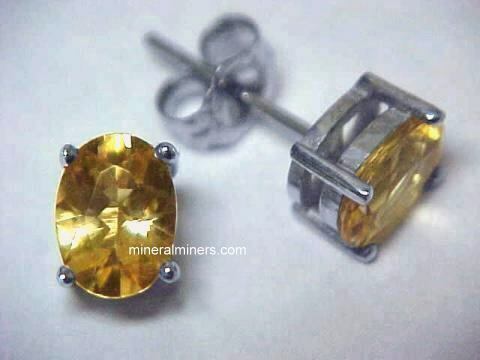 It has a large transparent naturally terminated topaz crystal weighing approximately 250 grams with naturally rounded and etched terminations in fine condition! This topaz crystal is colorless, and it has not been heated or treated in any way. The matrix is a mass of small intergrown topaz crystals with some small hexagonal muscovite mica crystals scattered around. The small topazes are translucent and range from colorless to light orange-pink! 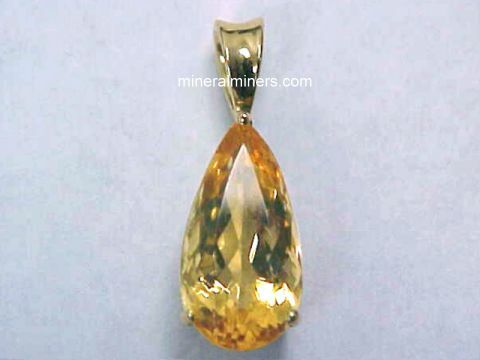 See another full view of this fine quality Medina topaz crystal in matrix. 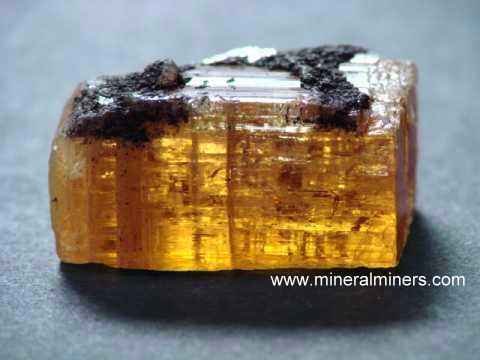 See also a back view of this Medina topaz matrix specimen. Topaz Mineral Specimen Size: 1.9" x 1.5" x 1.1"
This natural topaz mineral specimen is transparent with some naturally etched surfaces. This colorless topaz specimen is actually two intergrown partially terminated topaz crystals. This natural topaz specimen has not been heated or treated in any way. See another view of this natural topaz specimen. Topaz Crystal Dimensions: 1.4" x 1.3" x 1.2"
This naturally terminated topaz crystal specimen is colorless with very good transparency. There is an broken area on one side. This topaz crystal has not been heated or treated in any way. See another view of this naturally terminated topaz crystal. See also an opposite side view of this natural color topaz crystal specimen. Topaz Crystal Dimensions: 1.7" x 1.1" x 1.1"
This naturally terminated topaz crystal specimen is colorless with very good transparency. There is a small amount of mica on some surfaces. 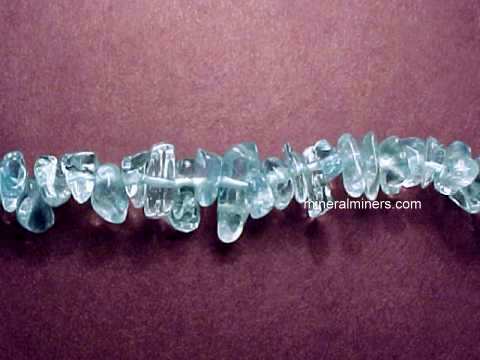 This natural specimen is a topaz crystal section with naturally etched surfaces on each end. It has not been heated or treated in any way. See also another view of this natural topaz mineral specimen. Topaz Crystal Dimensions: 2.3" tall x 1.5" x 0.9"
This naturally terminated and etched topaz crystal has very fine internal transparency with naturally etched and terminated surfaces. The bottom surface is flat and is covered with natural etchings, and this beautiful topaz crystal does stand up without support in the position shown at left. There is a small amount of mica and albite feldspar on some surfaces. See a side view showing the icy transparency of this natural etched topaz crystal. 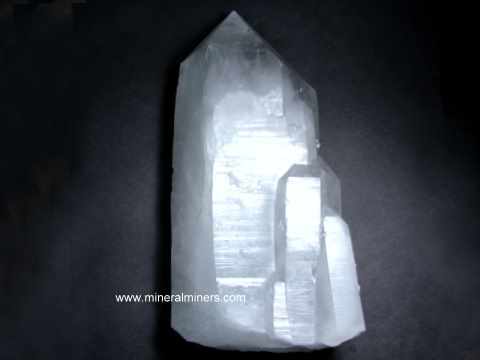 This topaz crystal is colorless, and it has not been heated or treated in any way. See also a back view of this natural topaz crystal. Topaz Crystal Dimensions: 1.5" x 1.4" x 1.1"
This naturally terminated topaz crystal specimen is colorless with good transparency. The terminations and prismatic faces are in very good condition. This topaz crystal has not been heated or treated in any way. See also a side view of this naturally terminated topaz crystal specimen. Topaz Crystal Dimensions: 1.9" x 1.8" x 0.8"
This naturally terminated and etched topaz crystal has very fine internal transparency with naturally etched and terminated surfaces in very good overall condition with one abraded area on its side. It has not been heated or treated in any way. There is a small amount of clay minerals still attached near the tip. See also an opposite side view of this natural topaz crystal. Topaz Crystal Dimensions: 1.7" x 1.3" x 0.9"
This naturally terminated topaz crystal specimen is colorless with very fine transparency. Most of the terminations are in excellent condition, and the prismatic faces are in very good overall condition with a few broken areas. This topaz crystal has not been heated or treated in any way. 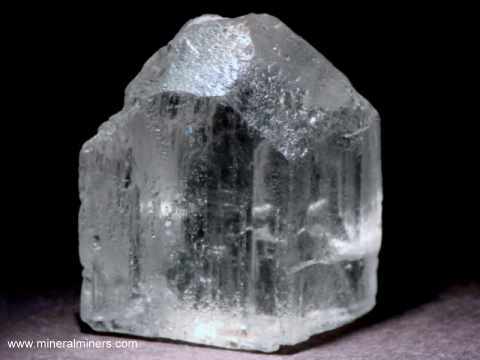 See also an opposite side view of this naturally terminated topaz crystal. Topaz Crystal Dimensions: 1.6" x 1.3" x 1.2"
This naturally terminated topaz crystal specimen is colorless with very fine transparency. Most of the terminations are in very good condition, and the prismatic faces are in good overall condition with a few broken areas. This topaz crystal has not been heated or treated in any way. 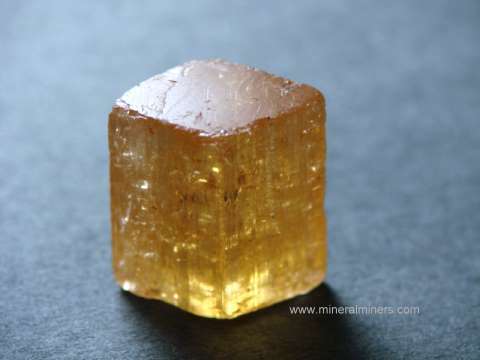 See another view of this naturally terminated topaz mineral specimen. 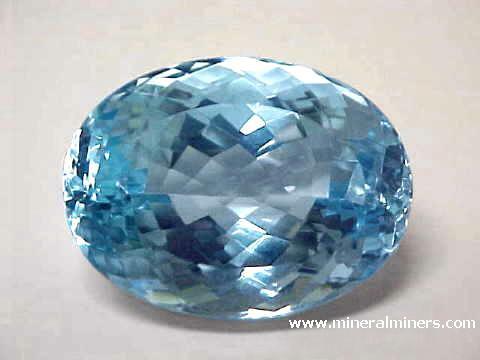 See also an additional view of this natural topaz specimen. Imperial Topaz Specimen Dimensions: 0.4" long x 0.3" wide x 0.25"
This natural color imperial topaz crystal was unearthed at Ouro Preto, Brazil. It has not been heated or treated in any way. This genuine imperial topaz specimen is a partially terminated topaz crystal section with natural golden orange color under incandescent light as shown. This lightly included imperial topaz specimen is transparent. Imperial Topaz Specimen Size: 0.5" long x 0.3" wide x 0.25"
Imperial Topaz Specimen Dimensions: 0.75" long x 0.75" wide x 0.55"
This natural color imperial topaz specimen was unearthed at Ouro Preto, Brazil. This genuine imperial topaz specimen is lightly included with some small gem-grade areas and natural golden orange color under incandescent light as shown. It has not been heated or treated in any way. See also an opposite side view of this natural color imperial topaz specimen. Imperial Topaz Specimen Size: 1" tall x 0.9" wide x 0.4"
Imperial Topaz Specimen Dimensions: 1.4" long x 0.6" wide x 0.5"
This natural color imperial topaz specimen was unearthed at Ouro Preto, Brazil. This unique imperial topaz crystal is naturally terminated with some abraded areas. This lightly included imperial topaz specimen is transparent with some small gem-grade areas and natural golden orange color under incandescent light as shown. It has not been heated or treated in any way. 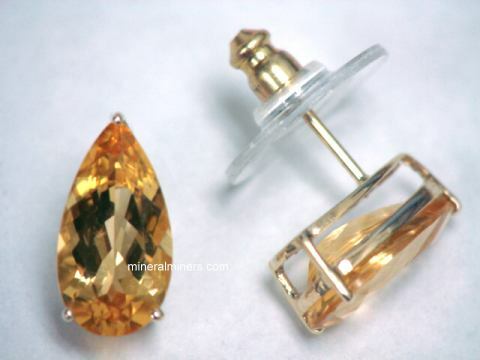 See also a side view of this natural color imperial topaz crystal. Imperial Topaz Specimen Size: 1.1" x 0.8" x 0.65"
This natural color imperial topaz was unearthed at Ouro Preto, Brazil. This genuine imperial topaz specimen is a naturally terminated topaz crystal with natural very strong orange color with slightly reddish hues under incandescent light as shown. This lightly included imperial topaz specimen is mostly transparent with some small gem grade areas inside, and it has a small amount of natural oxide minerals still encrusted on some surfaces. 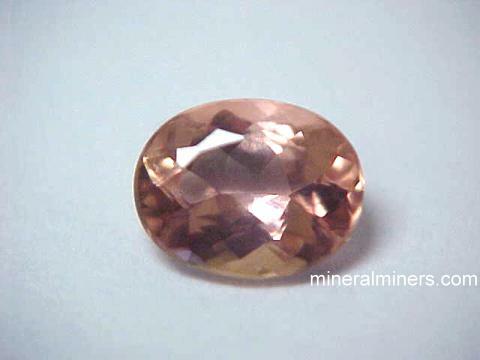 See also another view of this natural color imperial topaz crystal. Imperial Topaz Specimen Dimensions: 1.4" long x 0.9" wide x 0.75"
This natural color imperial topaz specimen was unearthed at Ouro Preto, Brazil. This unique imperial topaz crystal is naturally terminated with some abraded areas. This lightly included imperial topaz specimen is transparent with some small gem-grade areas and natural golden orange color under incandescent light as shown. It has not been heated or treated in any way. See also an opposite side view of this natural color imperial topaz crystal. Imperial Topaz Specimen Dimensions: 1.9" long x 1.25" wide x 0.9"
This rare size natural color imperial topaz specimen was unearthed at Ouro Preto, Brazil. 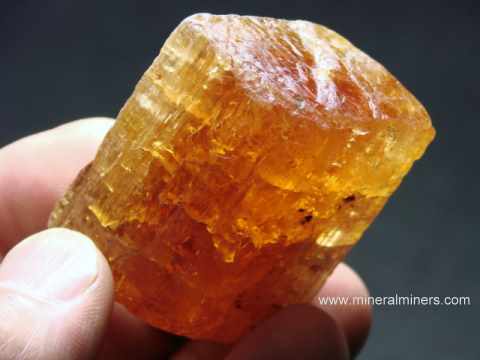 This genuine imperial topaz is a partially terminated topaz crystal with some abraded surfaces and rich natural golden orange color under incandescent light as shown. See also another view of this natural color imperial topaz crystal. This imperial topaz specimen is semi-transparent. 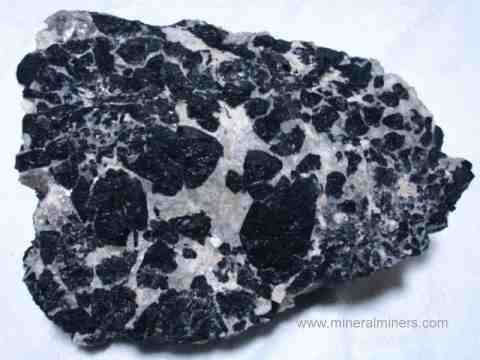 There is a small amount of natural black oxide minerals still encrusted on some surfaces. See also a standing up view of this natural imperial topaz crystal. Our Topaz Crystals and Topaz Mineral Specimens are 100% Natural - Unheated and Untreated! 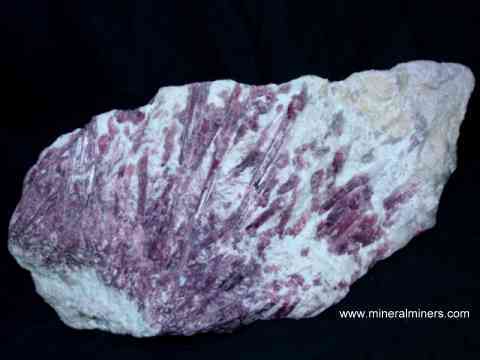 See also our Pegmatite Mineral Specimens page. 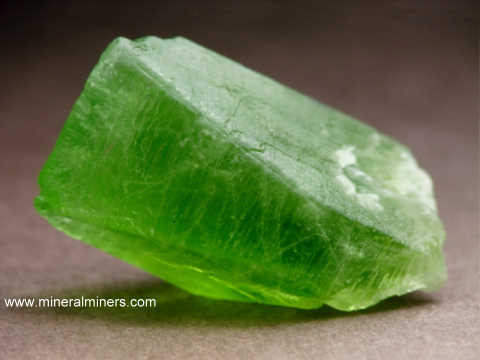 Each one of our topaz crystals and mineral specimens is completely natural, and they were mined in Brazil. See our page displaying Imperial Topaz Crystals in a variety of sizes and all natural colors ranging from golden-orange to orange-red. 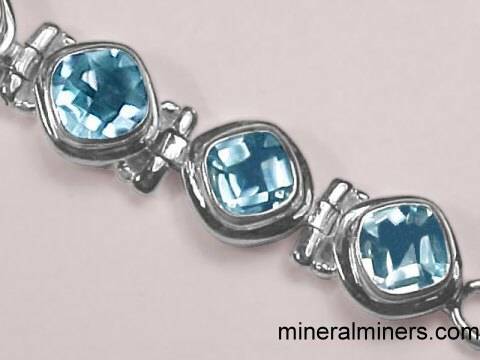 You may have noticed that some of our topaz crystals have blue color, these are rare natural color blue topaz crystals! We do not heat or treat any of our topaz crystals. 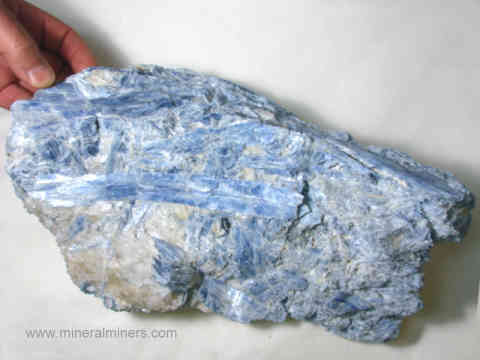 Here at mineralminers.com, we do not have any heated or treated topaz crystals, each crystal is 100% natural! We specialize in rare quality natural topaz crystals with gem grade transparency, and we do have more topaz crystals in stock, including some very rare quality topaz crystals and some very large topaz decorator specimens. We also have small topaz mineral specimens available, and right now we are offering these inexpensive topaz specimens with special volume discounts! 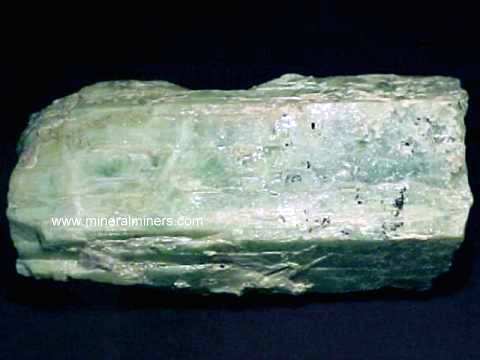 We have been mining professionally for aquamarine, citrine, kunzite, topaz, tourmaline and other gems for more than 30 years, and we have a very large variety of natural mineral specimens available for these and other minerals including peridot mineral specimens, amethyst mineral specimens, and quartz mineral specimens of all sizes. We have additional inventory of topaz mineral specimens including a semi-transparent topaz crystal weighing over 27 pounds! 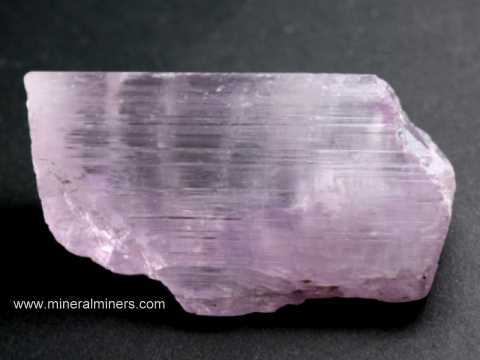 See also our mineral specimen & crystal pages displaying natural kunzite crystals and other spodumene mineral specimens. 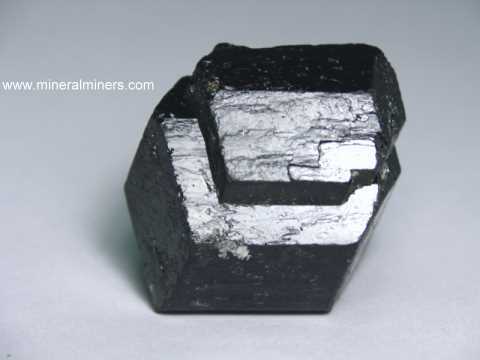 We have a large inventory of old stock naturally terminated black tourmaline crystals. We have some large transparent topaz crystal specimens in stock - the largest one weighs over 10 pounds! Some of our rare quality topaz mineral specimens have flawless areas inside, and they are suitable use as topaz facet rough. When we mine topaz in alluvial deposits, we saw out the eye-clean areas within the stream-rolled topaz rough pieces and grind them into topaz pre-forms. 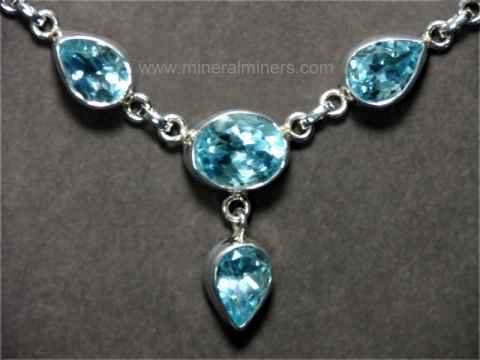 See also our page displaying genuine Topaz Gemstones with many different topaz gem shapes & sizes available. 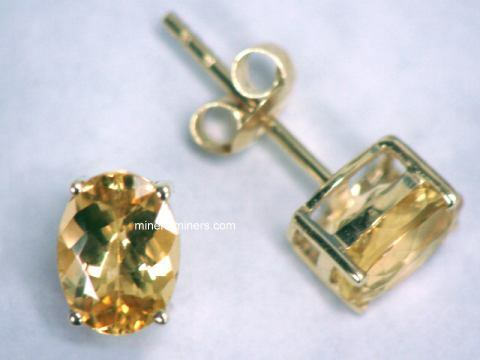 We have many beautiful matched pairs of imperial topaz gems that have been set into genuine Topaz Earrings. 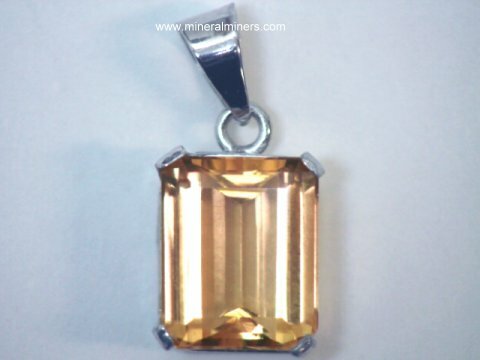 We also have a large variety of superior quality natural color imperial topaz jewelry & golden topaz jewelry designs available in pendants, earrings and necklaces. 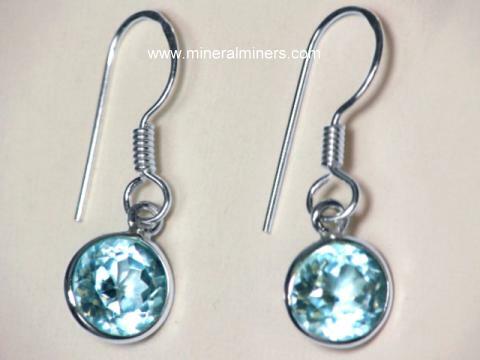 See also our page displaying all of our Topaz Gemstones. 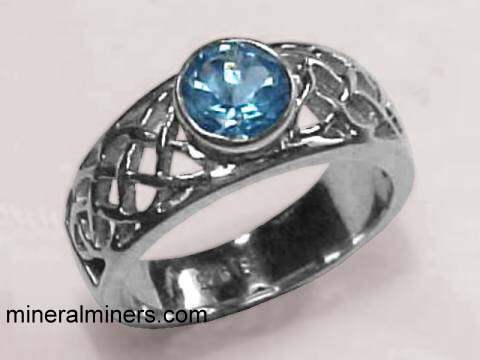 Our topaz jewelry pages display handcrafted designs of topaz bracelets, rings, pendants, topaz earrings & topaz necklaces. We do have more inventory of natural imperial topaz crystals and topaz mineral specimens in stock. 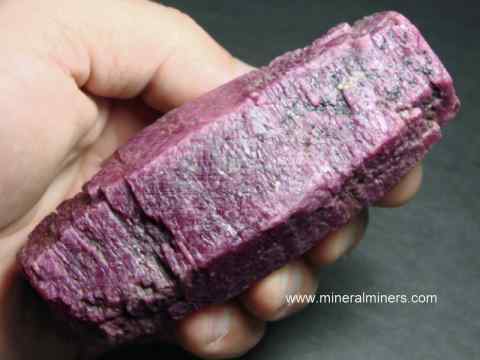 Would you like us to inform you when we add more natural topaz crystals and topaz in matrix mineral specimens on this page? We do have additional inventory of natural topaz crystals in stock at our mineral warehouses, so be sure to let us know if you have any natural topaz mineral specimen special requests.